Austin de la Rua is incredibly excited to join the Phantom Regiment Visual Staff for the 2019 season! This will be Austin’s first year on staff at Phantom Regiment. Austin is a resident of Houston, Texas where he teaches at Arnold Middle School in Cy-Fair ISD. Austin attended Sam Houston State University (SHSU) and graduated with a degree in Music Education. At SHSU, Austin has performed with the Wind Ensemble and the Symphony Orchestra where he held principal trumpet positions. 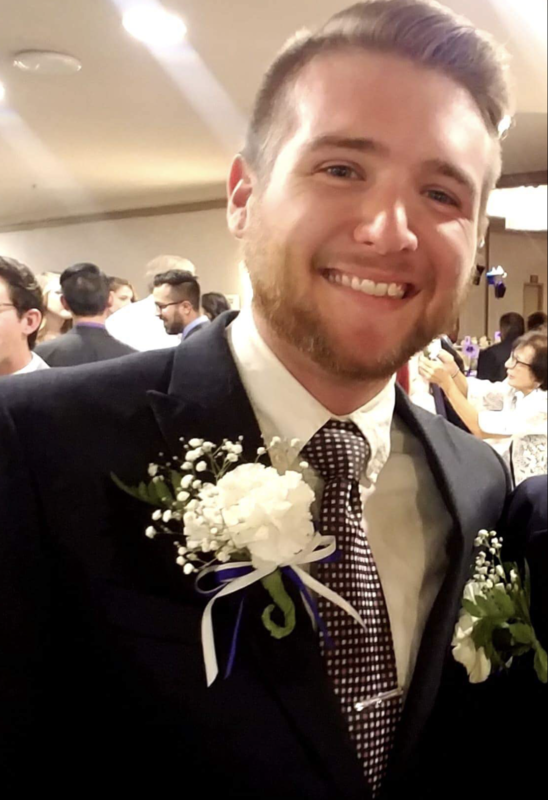 Austin has 4 years of marching experience in DCI being with the Troopers in 2014, Blue Knights in 2015 and 2016 where he was the trumpet section leader, and he aged out in 2017 with the Concord Blue Devils. Austin spent the 2018 season on the Visual Staff at the Blue Knights Drum & Bugle Corps. Austin also has experience teaching various high school marching band programs around the Houston area. He also has served as the sole Visual Caption Head for the Sam Houston State University Bearkat Marching Band in 2016. Austin is extremely excited to work with the Phantom Regiment in the 2019 season!